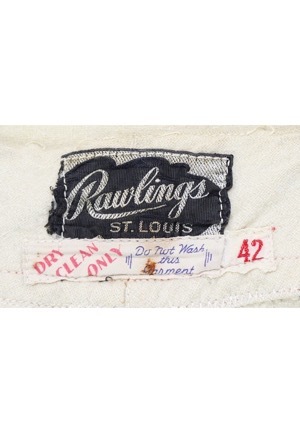 In the rear collar is the Rawlings St. Louis manufacturer’s tag. Below is a strip tag with washing instructions and a box tag reading the size “42”. 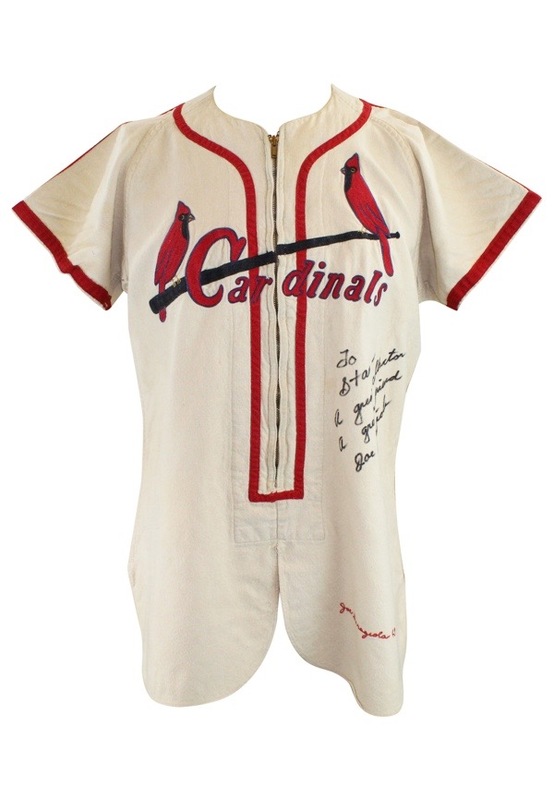 Embroidered on the front left tail is “Joe Garagiola 49” in red chain stitching. 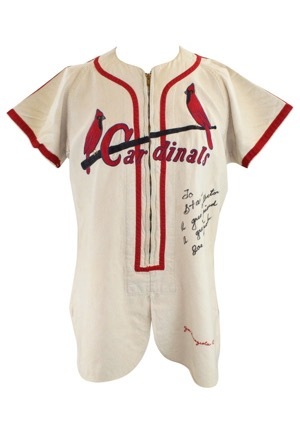 Across the chest reads “Cardinals” with the “birds on a bat logo” above done in red, blue, black and yellow embroidery. 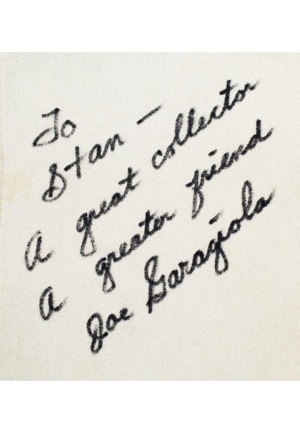 Garagiola signed the front of the jersey with the added inscription “To Stan - a great collector a greater friend” and in our opinion the signature rates a near 9. The front zipper is in working condition. 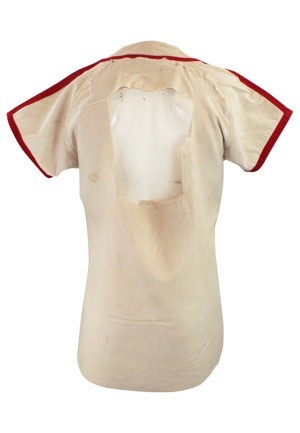 Garagiola’s family removed a large portion of the back of the jersey in order to make a pillow commemorating his career however the jersey displays perfectly from the front. This jersey is properly tagged, was presented to us as game-used and in our opinion shows excellent use. Accompanied by a LOA from JSA.